If you live in Ukraine and don't have the funds to help, but do have access to administrations, this is the way to become a donor. 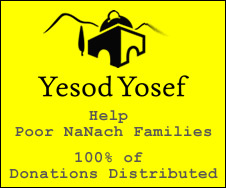 I have been promised $50 000,- by a very serious source if I can get Rabbi Nachman on a plane bound for Israel. I want to give this money to any volunteer organization helping Ukraine fight off the Satanic President. If you read through my site, you will see who the players are, but I am not allowed to leave this country (FSB is "handling" me), this work can only be done from the Ukraine, please get the job done and I am responsible for sending you the money that was promised me. Rabbi Nachman must be put on a plane bound for Israel, or possibly by written legal contract with President Poroshenko.